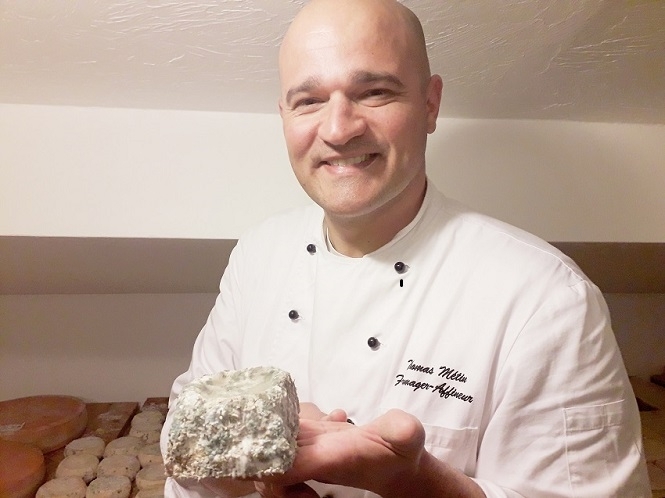 A former basketball player who fell in love with cheese has set up what he says is now the only cheese maturing cellar on the Riviera, which enables him to sell his cheeses in the best condition and maturity. Thomas Métin, 39, picked his cheese shop premises in narrow, bustling Rue du Marché in Vence’s old town, partly because it had a lower floor ideally- suited to installing a cave d’affinage. It took some time to set up his cellar, to the right hygienic norms and temperature and humidity, he said. “Finding the best way to mature a cheese, from young to old, is a science. I’m still learning a lot, even now. The right humidity is essential to keep the cheese moist and to develop the mould in the blue varieties, he said; for example at least 90% humidity for harder cows’ milk cheeses and 80% for the soft goats’ cheese.